Cashier is a lightweight and extensible, free WooCommerce Theme. 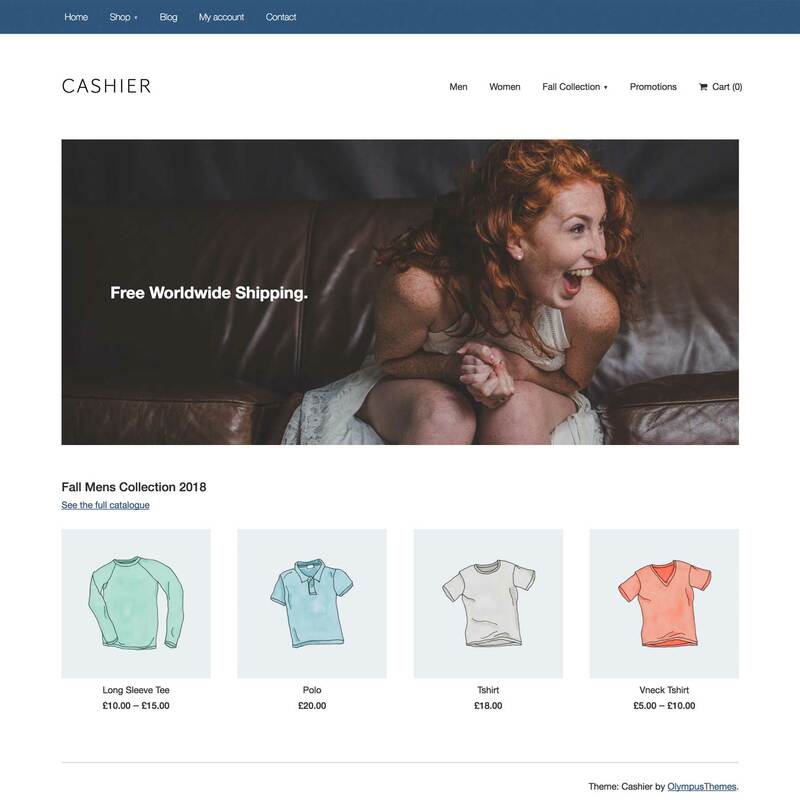 Cashier is a lightweight WooCommerce theme built using core WordPress functions. It doesn’t use any frameworks or libraries, this makes it fast, simple and easy to customize! Cashier can be used as-is, or it can be used as a WooCommerce Starter Theme to build something greater. The theme is responsive, Search Engine Optimized (SEO), and child theme friendly. Cashier is tightly integrated with WooCommerce to provide a seamless experience from product to checkout.